If one of your loved ones overdoses, would you know how to respond? 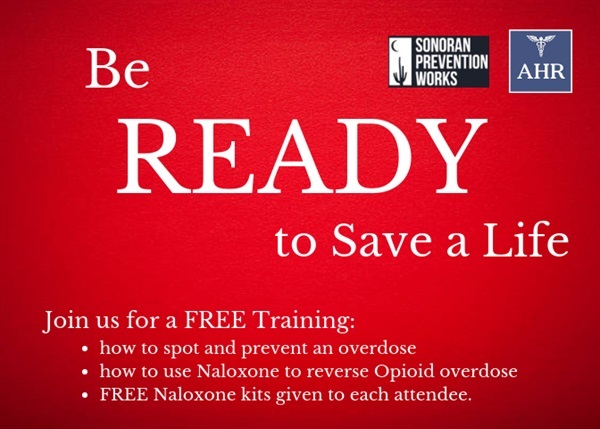 Join Sonoran Prevention Works and Ahwatukee Health and Recovery for a free introductory training on overdose prevention. Attendees will also learn how to use Naloxone (Narcan) to rescue an overdose victim, and free Naloxone kits will be provided upon completion. This training is open to all community members, including people who use opioids, friends and family, behavioral health and medical professionals, and treatment providers.